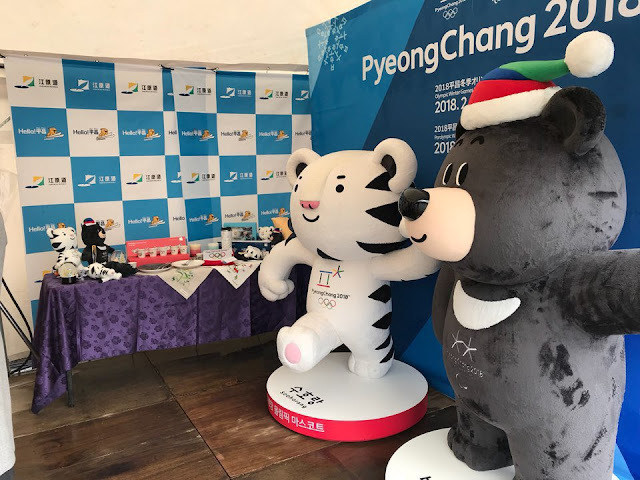 The #PyeongChang2018 #Olympics had a booth at the Cri Show IV Arena Performance in which they displayed a number of official goods. While the goods were not for sale - #IOC rules apparently forbid sale of official goods outside of the Olympics venue - the souvenirs are allowed to be displayed in official #Olympics booths. 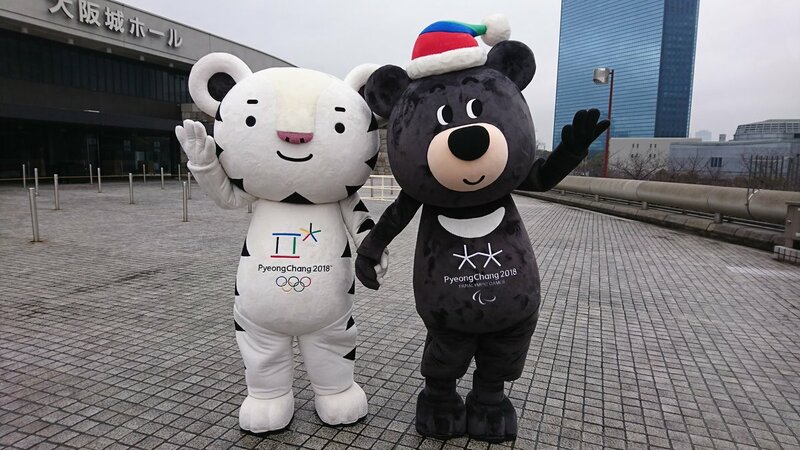 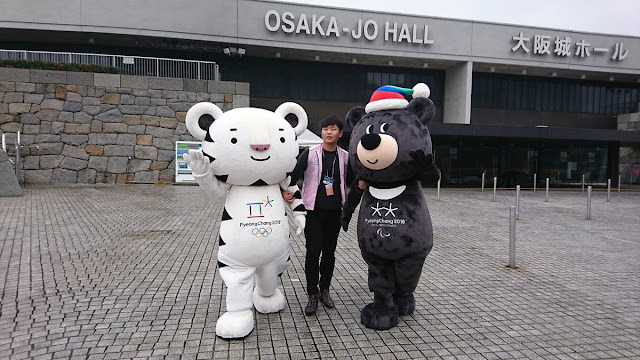 In addition, the #PyeongChang2018 booth offered an opportunity to be photographed with the two mascots, Soohrang and Bandabi. 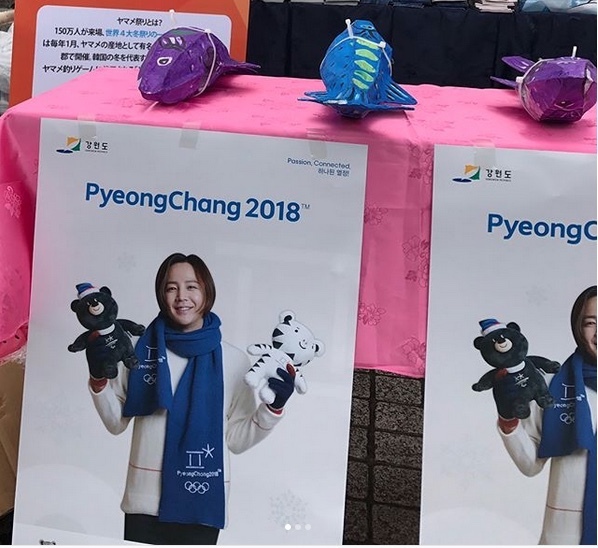 Plus, the #Olympics/#Gangwon Province booth set up a fishing game: participants could hook two masu salmon (a small salmon, native to East Asia), they can win pins featuring Soohrang and Bandabi or an official #Olympics poster of JKS. 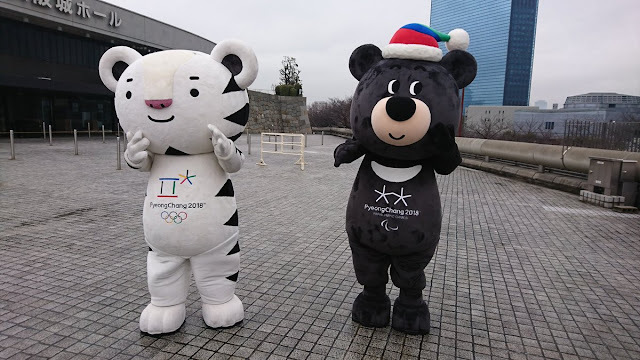 Lastly, the two mascots roamed around the venue, delighting everyone.